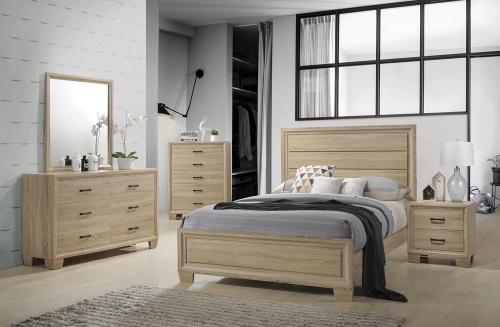 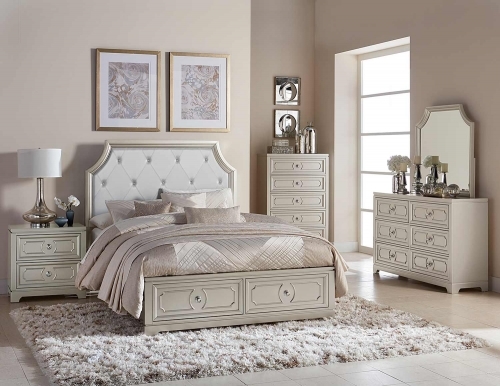 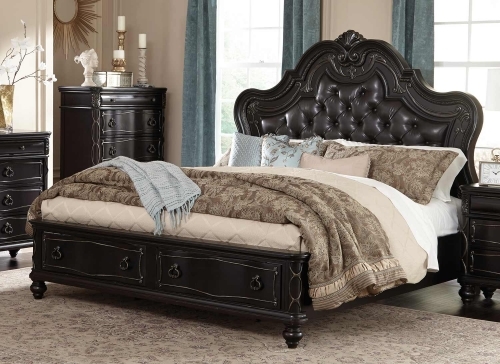 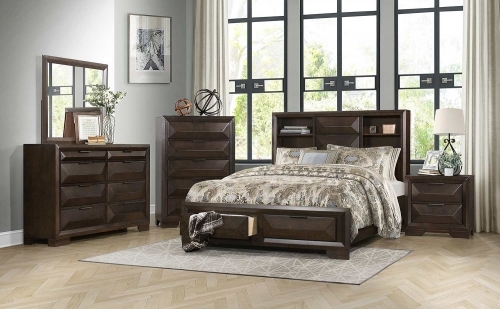 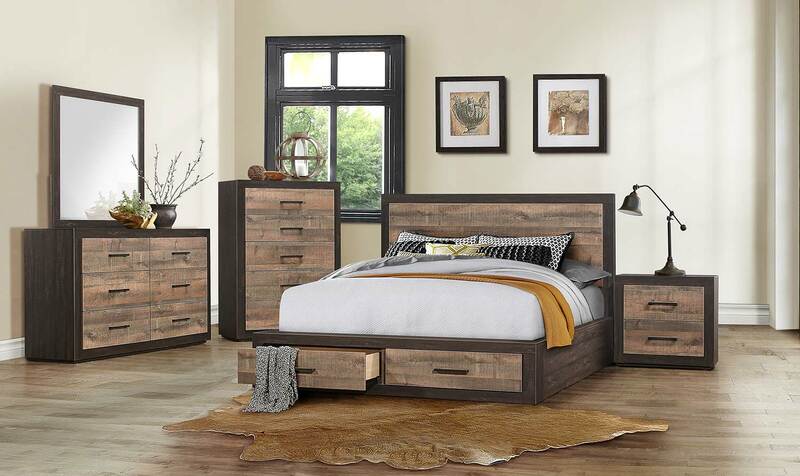 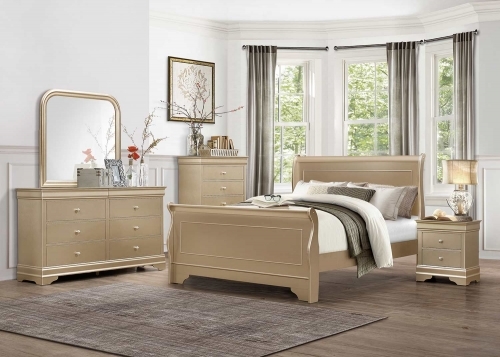 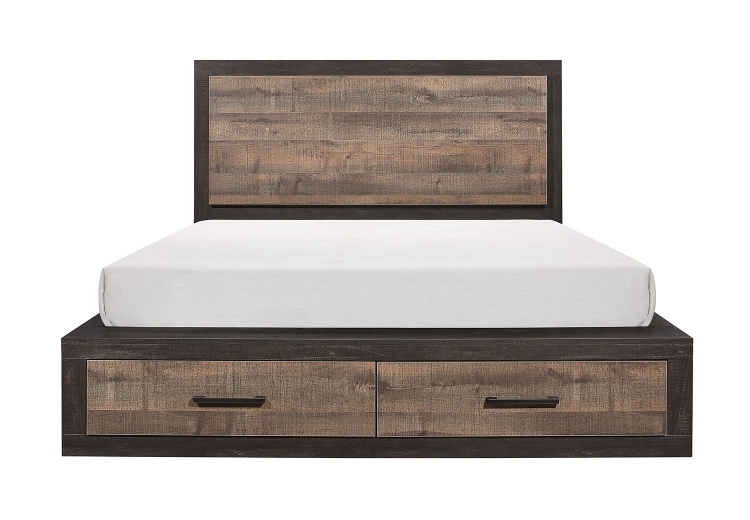 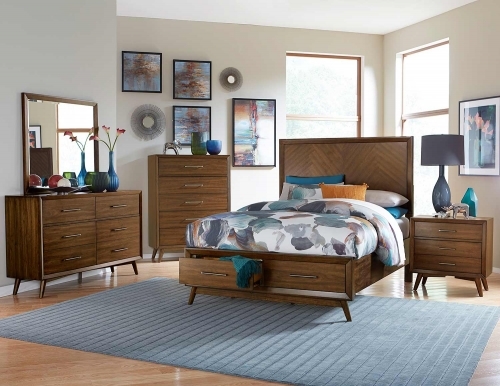 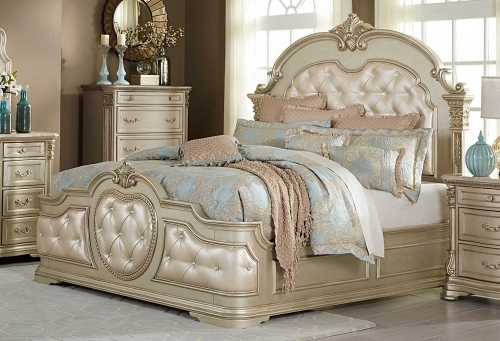 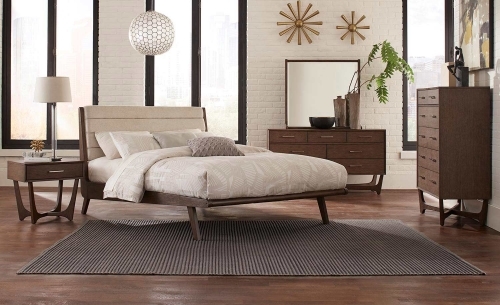 The Homelegance Miter Collection combines the clean lines of contemporary styling with the look of natural wood grain in this stylish bedroom suite. 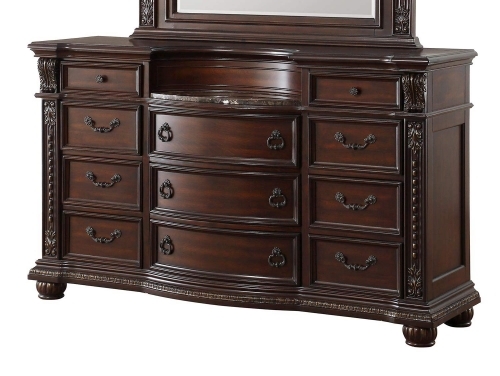 3-D printed paper veneer is utilized in both mahogany and ebony to achieve a 2-tone contrasted finish. 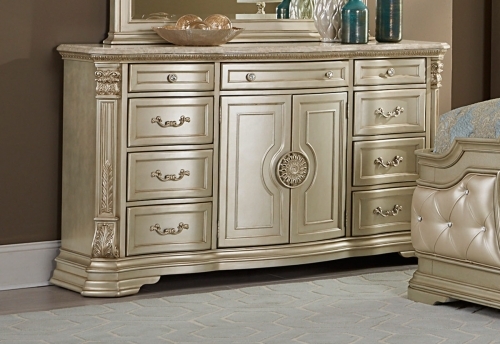 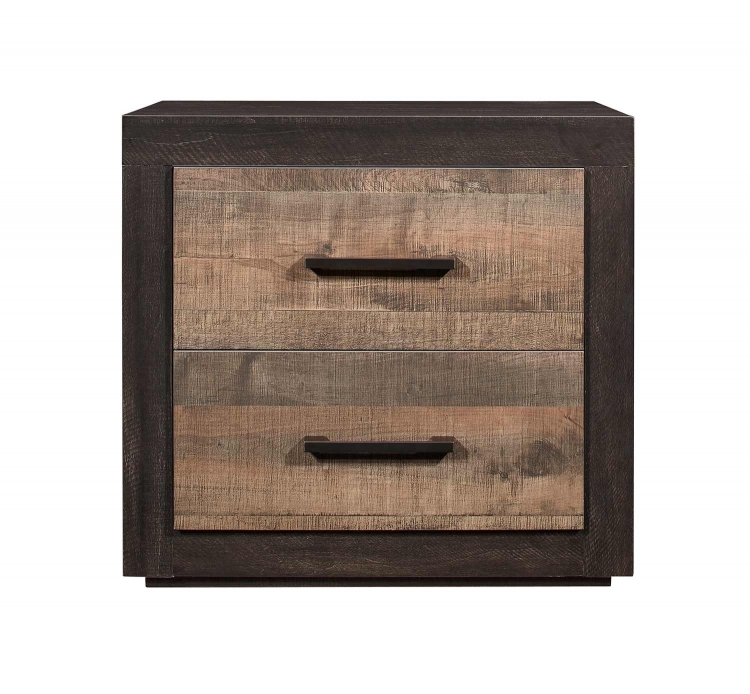 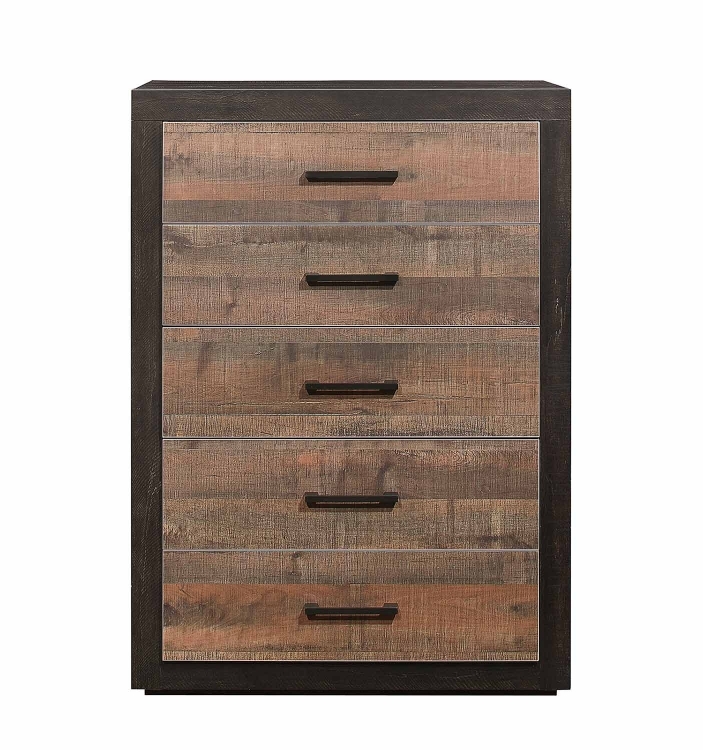 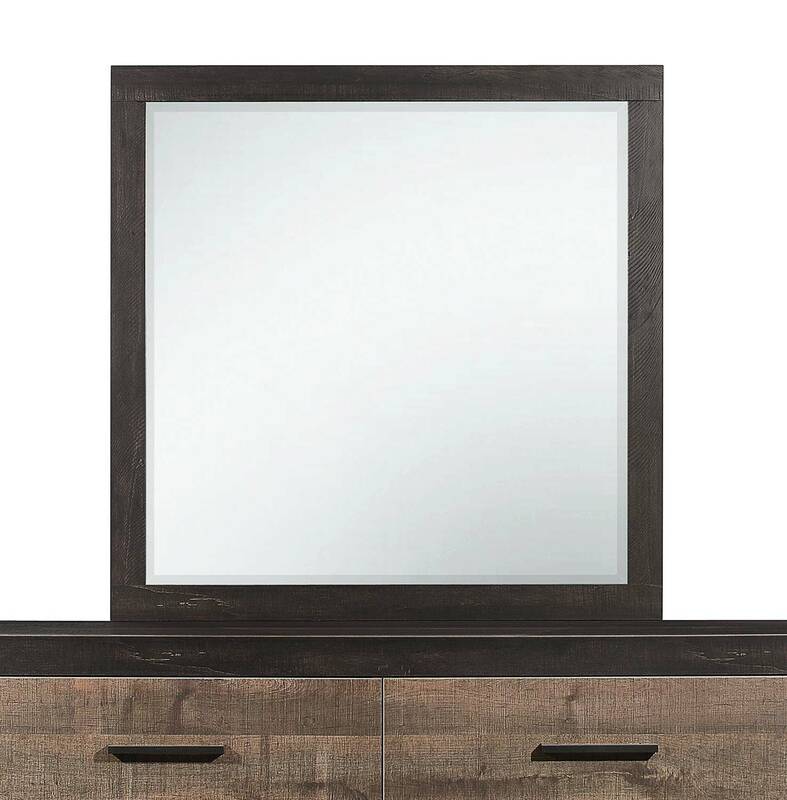 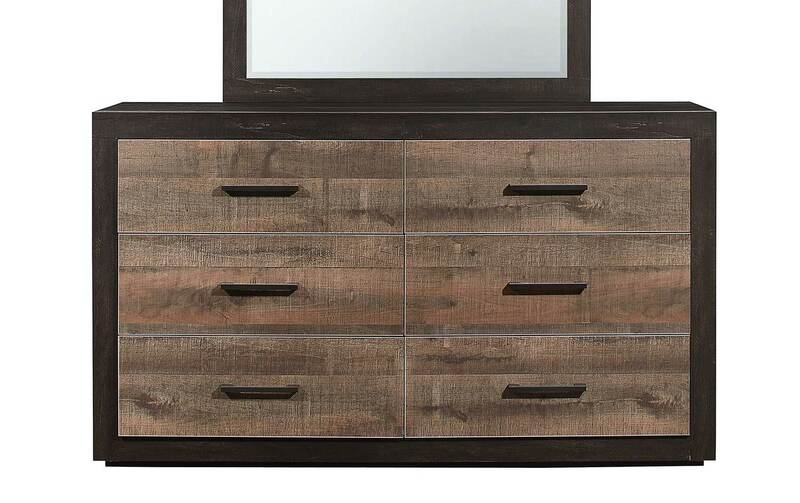 Dark metal hardware provides additional contrast to the printed wood grain. 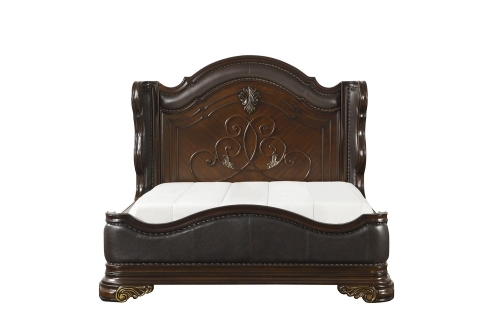 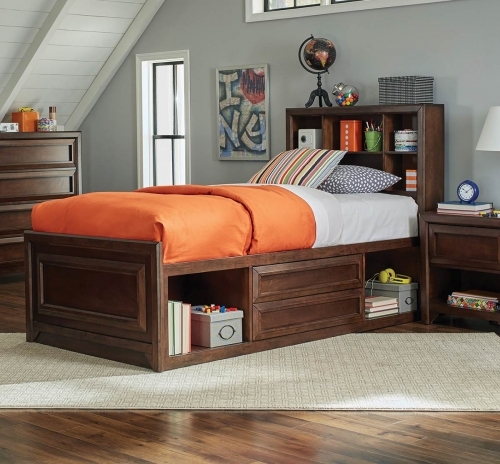 Drawers are featured on the footboard creating the extra storage space.